Many of you will know the wonderful Sam and Hannah Fairs-Billam. They first came to Kerith after someone put a church leaflet through their door, and I first met them when they came on the Marriage Course, which Catrina and I were leading back then. At the time Sam wasn't a Christian, but after doing the Marriage Course Sam went on to do Alpha and there became a Christ follower. 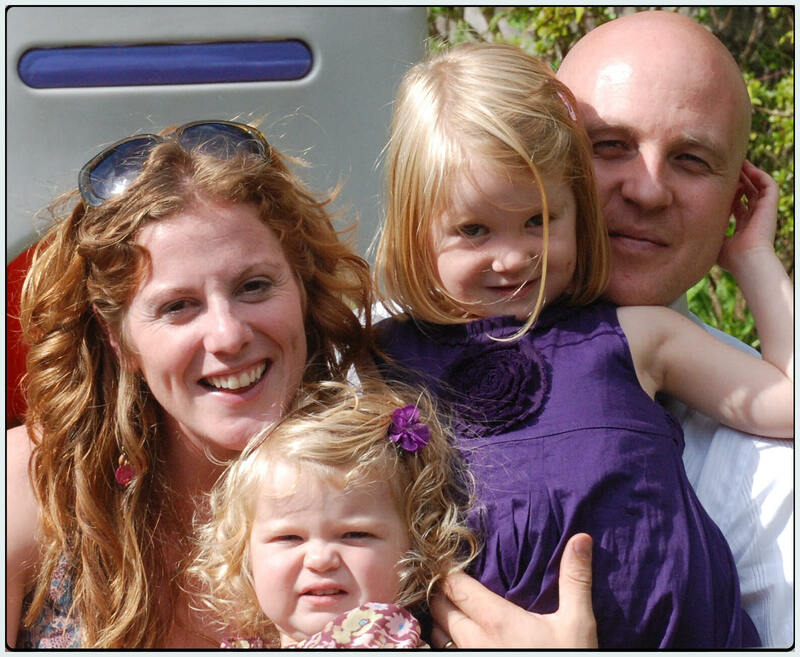 Now a number of years later they have two daughters, Isla and Amba, and are firmly embedded in the life of our community. As a couple they embody God's heart for justice - Sam works with the homeless and Hannah has a job standing up for marginalised children. Sam came with us on the very first trip to Serenje. They now have a plan to spend a year living in Lusaka, the capital of Zambia, working for the Evangelical Fellowship of Zambia, developing a child protection programme which will be rolled out across the whole of Zambia. You can read the latest about what they're up to on their blog. They're going as volunteers, which means they're currently fundraising to raise the £30,000 they'll need to support themselves for the year. They're already nearly three quarters of the way there which is amazing, but I know they'd appreciate any extra help! Tehila isn't an "official" Kerith project, but Sam and Hannah have the full support of me and the rest of the leadership team. Hopefully they'll have your support too. Their plan is to go in March 2012 which isn't too far away! Please take a look at their blog, be praying for them all, and consider supporting them financially. This Sunday Michael Ross-Watson will be preaching at all three meetings. Michael and his wife Esther are just back from their latest mission trip to Singapore, Indonesia and Malaysia where God was powerfully with them. I'm sure on Sunday we'll get to hear some of the stories of their trip, as well as hearing God's word preached with Michael's fathers heart. Please remember also that it's the last Sunday of our offerings for Serenje. We're aiming to raise £80,000 for year four of the project and £90,000 to get the rest of the money to build the girl's dormitory. Please don't be intimidated by the totals, or by the current economic turmoil, but let's give as the Macedonian Christians did - "Out of the most severe trial, their overflowing joy and their extreme poverty welled up in rich generosity. For I testify that they gave as much as they were able, and even beyond their ability" (2 Cor 8:2-3). If you can't be there on Sunday you can also give online here. Many of you will already have heard that Bill Hybels and Andy Stanley are going to be doing a one day leaders conference at the Kerith Centre on Monday 30th January 2012. 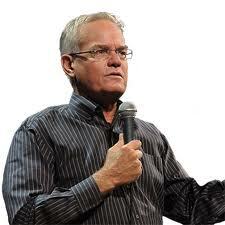 Most of us have heard Bill Hybels at the Global Leadership Summit. He is the most inspiring Christian leader I've ever met, not only through the way he speaks but also the way he lives his life has been an inspiration to me. Andy Stanley is an outstanding communicator, as well as leading an incredibly dynamic and innovative church. His book "Communicating for a Change" is required reading for all the Kerith preachers, and my iPhone is full of his podcasts. Getting these two leaders together on one day in the UK is amazing. If you're a leader in any capacity then please plan to be there. You can book on the Willow website, £60 for WCA UK members and £75 for non members (which is amazing value - in my other job we were being charged £250 for a day learning how to use email! ), but if you're part of Kerith you can get an even better rate of £30 for the day. To get that rate you need to go to the Kerith Centre reception and register there. And if all that wasn't enough then the day after we're going to have a guy called Pete Scazzero with us. He speaks and writes on building emotionally healthy churches and Christ followers, and comes very highly recommended. More details here. Why not invest in yourself and come to both days. Hope to see you there on the 30th and 31st - I'm excited about it already! This week we're encouraging everyone to eat more simply, in order to identify more closely with the people of Serenje. I know some people are planning on eating rice and beans for the whole week, others are doing a day and still others a single meal. If you really can't face rice and beans then why not miss some other luxury, go without chocolate or skip your Starbucks Latte. Whatever you do please use the opportunity to pray, to talk about our friends out in Serenje, and to think about giving to the Serenje offering this Sunday. First of all apologies to those who are used to me regularly updating the blog. It's been a crazy, although fruitful, couple of weeks including the Willow GLS, the Serenje pastors being with us, Serenje Sunday and Monday and Tuesday this week in Lincoln with a group of UK leaders. I've struggled to find time to blog so sorry about that. I'm also taking a break for some of half term, but once that is over normal blogging service should be resumed. This Sunday we're going to be looking at how we deal with the Halloween season which is soon to be upon us. Whether you're a parent deciding what to allow your children to do, a teenager deciding which parties to go to, or are about to have your front door knocked by lots of trick or treaters we all have decisions to make about how we handle Halloween. I'll give a bit of the history of Halloween and then outline a series of Biblical principles which should hopefully help each of us to decide how we are going to deal with it. The principles will also help us understand how we deal with similar related issues such as Harry Potter. Should be interesting! Hope to see you there on Sunday. 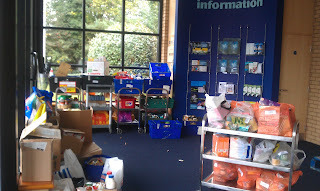 It's harvest festival season, which means a seemingly endless stream of food from local (and not so local) schools, churches and other organisations being delivered to the Kerith Centre, ready to be transferred to our warehouse. We even had deliveries last Friday during the Global Leadership Summit - fortunately they came during the sessions, so they could be packed away before the delegates came out for their next break. It's amazing what goes on behind the scenes at events like this which most people never get to see! It's amazing to see the generosity of our local community, and their support for what we do. Today I had the privilege of going into Garth Hill College to be presented with a cheque for £5,000, which they raised through a series of events including a walk to school day. All of that money will go towards the girls dormitory which is going to be built in Serenje. 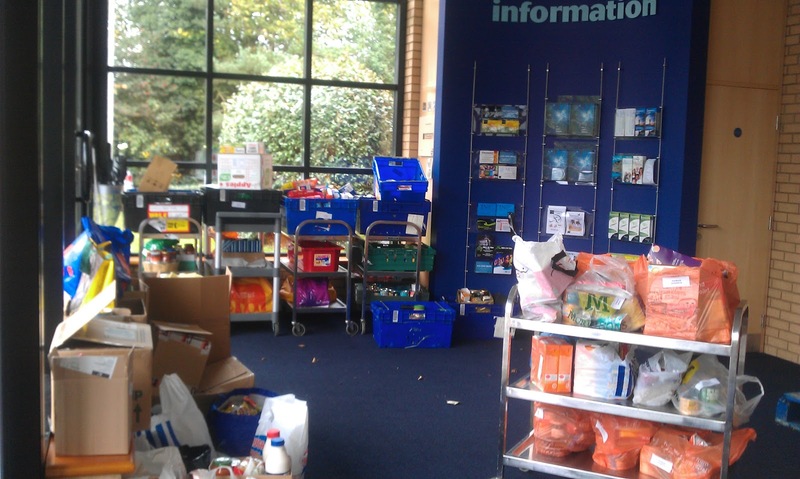 In addition we last week got a grant for £10,000 towards the cost of the reception works, and next week a team from GlaxoSmithKline will be giving up their time to volunteer in Foodbank. Amazing. Sometimes we can have a sense that as Christians everyone is against us and develop a sort of siege mentality. Yet in the book of Acts it says "They broke bread in their homes and ate together with glad and sincere hearts, praising God and enjoying the favour of all the people" (Acts 2:46). Acts 2:42-47 is often quoted as a description of church at its best - let's believe that part of that will mean us continue to enjoy the favour of those around us. This Sunday we're celebrating all that has happened over the last three years in Serenje, the rural community in Zambia we are partnering with, as well as looking forward to what our relationship there will mean in the future. As part of our identifying with the community in Serenje we'd like to encourage everyone who can to walk to church. It might not be possible for you to walk all the way, I know some of you travel a long way to get to us, but perhaps you could consider parking at the house of a friend who lives closer, or walking in from one of the local car parks. Go on, give it a go! A great opener - please don't be late for the 9, 11 or 7! And most of all thanking God for His hand on all that we have attempted to do. We will also have the first of three weeks of offerings, looking to raise £80,000 for year 4 of the project, and £95,000 to get the girls dormitory built. We will also be joined by a number of leaders from other churches who are considering embarking on similar projects. Let's be praying that God will speak to their hearts too, and remember to make them feel incredibly welcome. The funding of Kerith will always, I believe, come primarily from the direct giving of those who call it home. That was certainly true last year, when our overall income was just over one million pounds, over 90% of which came from direct giving (regular offerings, gift days and gift aid on that giving). But we will always look for other opportunities for funding, to allow us to do more. Just last week we got a cheque in the post for £10,000 as a result of a grant application to help fund some of the costs of the reception redevelopment. I want to let you know about two things you can do to help us access more external funding. Then click on the “I accept...terms and conditions box and click on the “vote for us” box. Click on the “register now” words in the red box. This will take you through a short form to register your name and email address. A confirmation will then be sent to your e-mail pretty instantaneously. This will then return you to the Konnections screen and you once again click on the “I accept...terms and conditions box and click on the “vote for us” box. You should see a screen confirmation that you have been successful in casting your vote. Please do the above now! Secondly for those of you who shop in Waitrose in Sandhurst, our Konnections Ministry is one of the chosen charities for the Waitrose community matters scheme for the month of October. There are three charities chosen every month, which get a share of £1,000 in proportion to the votes of shoppers in the store, which they indicate by putting a green coin in the appropriate bin at the exit of the shop. If you normally shop in the Sandhurst Waitrose then please be sure to vote for Konnections.